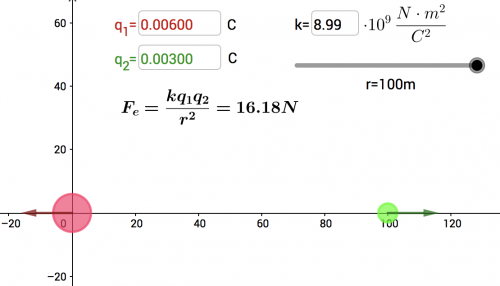 Showing results for tags 'coulombs law'. This video teaches the formula for Coulomb's Law. The lyrics are set to the tune of "My Bonnie Lies Over the Ocean" and are sung by an animated anion. FYI: k = 8.99 x 10^9 Nm^2/C^2 q = The charge of each particle r = The distance between the particles Please note that if the product is negative then the force is attractive, whereas if the product is positive then the force is repulsive.